During the progress of construction , supervision is necessery at keypoints.if there be anything wrong in execution of the plan, the building may loose its Vaastu potentiality and augurs evil effects.so, supervision during construction is very important. Since our incorporation, we are involved in rendering excellent Supervision Services in the construction industry. We have emerged as one of the best Supervision Service Providers in the market. 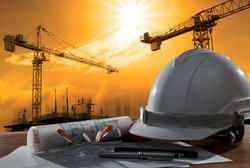 All these services are rendered by the best industry personnel, who hold rich experience in the construction industry. The process of supervision occurs within the relationship established between the supervisor and supervisee. It is important to keep in mind that both the supervisor and supervisee contribute to the relationship and have responsibilities within the process. As assumption of supervision is that it will last long enough for some developmental progress of the supervisee. We undertake responsible supervision for the work that you wish to offer us. Whatever be your build, whether it is residential, commercial or industrial buildings, We have a expert team of qualified engineers who will supervise it to the best. We provide civil projects planning & scheduling to various projects. We provide enhance support in execution and day to day supervision of various construction activities. we are excellent in completion of mega projects with greater quality in stipulated time. To supervise the construction of large highway and other infrastructure projects, we bring a nationwide network, allowing it to take on the roles of construction supervisors, owner's engineers, lender's engineers, and independent engineers. We provide the services of supervision of a group of well qualified and experienced engineers in all sorts of construction works as per the drawing and specifications. - Material quality check & control. - Supervision of day-to-day construction activities. - Construction quality review & Supervision. - Co-ordination between Contractor and Client. In addition to the above service, we are also providing supervision and contracting of structural as well as interior work. Our service are wide in scope and range from residential to commercial building, academic buildings, convention centers, and entertainment & cultural venues. Typically our clients have busy schedules and do not have the time to do the construction supervision by themselves. With the experience from solar-PV systems across Europe and India, we provide these services. 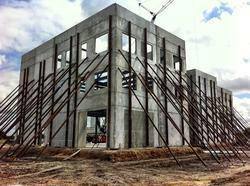 Our clients can rely on us and will have all the up-to-date information about the construction process. We are best in providing the construction services like supervision & quality control.